Installation efficiency and flexibility are at the heart of the new MCP Indoor Call Point range. Installation time and ultimately cost, are of paramount importance to any fire or security installer. TheMCPrangedirectly reflects thisneedbyprovidingaunique‘plugandplay’ concept designed specifically to reduce installation time. All new MCP products utilise a special terminal block, where all initial installation cabling is terminated. This terminal block is then simply connected to the back of the MCP. Simple, but effective with no re-termination required and no time wasted. Both break glass and resettable operating elements can now be used within a manual call point. Toprovideyouwiththegreatest‘flex-ability’,thenewMCPrangecanbeconfiguredas either a break glass or resettable unit by simply changing from one element to another. No other additional parts or alternative products need to be ordered. All MCP Indoor Call Point products also help preserve the integrity of the overall system as illegal removal of the product lid will result in the call point operating and the system going in to alarm. 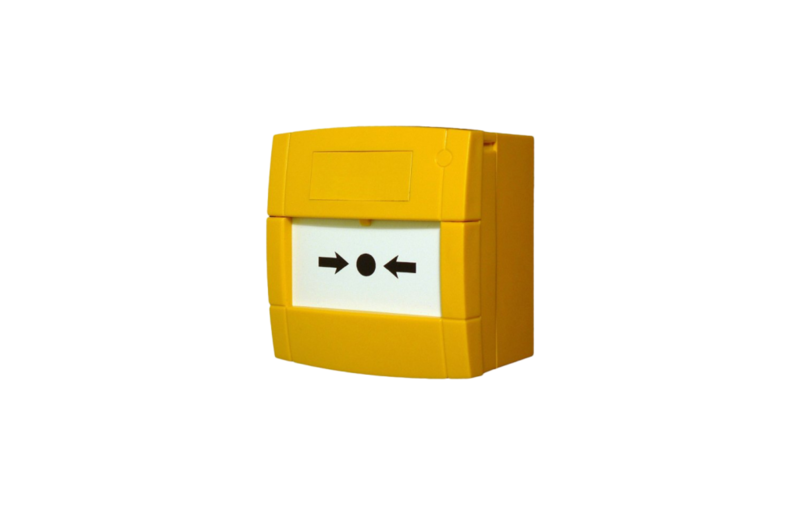 The MCP3A product version is supplied with one normally open and one normally closed contact.Selectingeitherthe“NormallyOpen”or“NormallyClosed” contactiseasilyachieved by simply connecting the terminal block to the required connection in the back of the MCP3 Product. Single pole changeover switching can be achieved with the use of two terminal blocks. All of our colour products can be supplied with a variety of markings to meet your specific requirements. Please contact our sales team for further information.